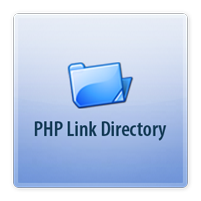 Many webmasters using phpLD run in to troubles with their hosts when their php Link Directory websites becomes very resource heavy. Many of them have their accounts suspended because of excessive server CPU and memory usage. Delete spam submissions on regular basis. You want to have as fewer links in your table as possible and spam submissions are making your table bigger for no benefit. How to find spam submissions ? For example, if a submission has http:// in description even if your guidelines state the obvious “no spam links in description” then you can automatically delete those submissions once per day. Don’t use excessive custom mods. For example, there are phpLD mods that show related links. For each page that a web crawler is loading your database will be under heavy stress and most likely choke the cpu. Get rid of all the useless fancy mods that are mySQL heavy. Remove description field from search and add a captcha to the search function. In index.php look for search section and remove the ‘description’ field from the queries. Saves a lot of CPU by searching only in title and url fields.